The most strong element in your bathroom is the backsplash. Bathroom backsplash ideas should have the most prior debates in your bathroom remodeling project since it should be the most visional part. My dautghter loves to give the character to all objects and loves to talk tho them. When I write these rows, I am inspired her and adding a naïve anektode for Bathroom Backsplash Ideas. Backsplash says: Hello my name is Backsplash, I used to serve in the kitchens and still do but now I am being popular in bathrooms recently. All the material, shape and design selections are identical to my twin sister in kitchen. Please check the details in kitchen site of Solace Home Design page. However, I am simple and easy going for labor. I am only needed to match with corresponding cabintes, wall color and floor materials and give a taste as border like ribbon on the hair. I am mostly used in bathtub and shower area . If you look forward to add an ionic bond to your project, you can make an analogy with vanity and vanity top. Picture credit: Insignia Design Group. Solid color glass tile with skinny brick pattern gives a Reiki energy to your bathroom. Zen in your vanity, relaxation and meditation. “Without me, your bathroom feels itself naked and empty, something is always missing. I am told that, I am the little jewelry or refreshing piece in your bathroom.” well said by Backsplash. Picture credit: Tsantes Photography Such an elegant example for shower backsplash. Travertine backsplash and tiles, natural slate separation wall. Bathroom backsplash ideas defined very well. As well as the kitchen backsplash ideas, bathroom backsplash ideas have the same definiton:First protect then decorate your wall.Material selection , material form , material shape and design are almost same, too. Picture credit: Change Your Bathroom Incorporated. 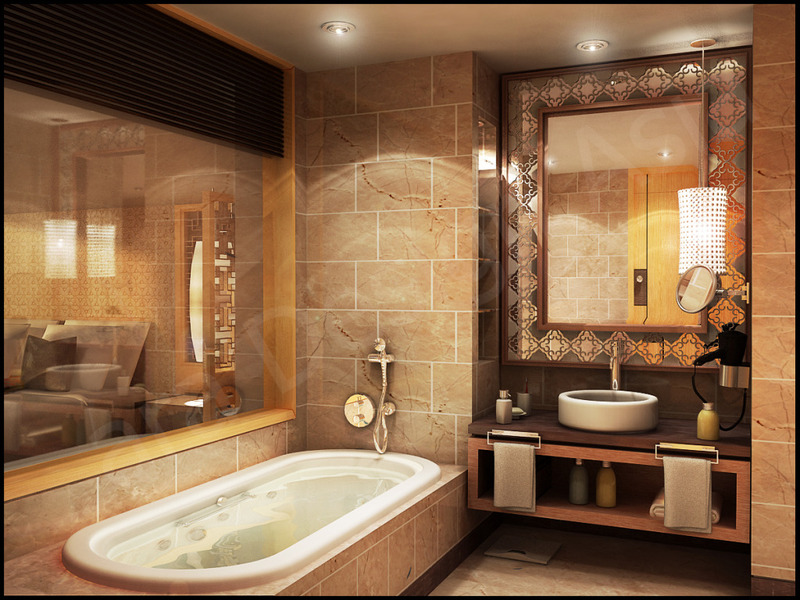 Pebble,ceramic and natural stone combined very well in this bathroom. Under vanity lighting rocks! Two thumbs up! Material form can be divided as plane surface or tile surface. Plane surfaces can be called slab or full high backsplash and they are made of granite, marble. They are installed to the wall with liquid nail. Picture Credit: 186 Lighting Design Group I fall in love in the first sight. The granite wall calls me! Ceiling and floor are the marble tile and sides are marble slabs. Lighting and windows , with clear panel shower door are fantastic. Tile surfaces are: colored glass, ceramic, marble,mosaic and thumbled finished tile. In bathroom backsplash ideas, material shapes are bigger than kitchen backsplash ideas and design may vary as tile shapes and design:Subway tiles, Rectangle tiles, Hexagonal tiles, Customized mosaic, Standard mosaic (small square shapes can be described as half inch by half inch).